Started using a program called top mod. The program was easy to use but did have some restrictions and often crashed. I decided to use a triangle as a base shape to try something a little different. 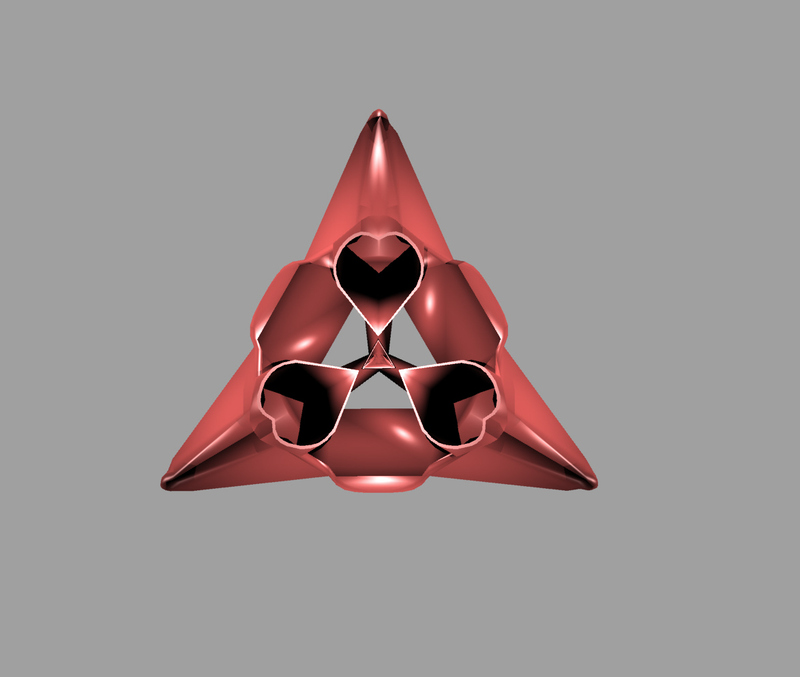 After playing around with topmod I finished my shape and exported it into Rhino. This is where I scaled the shape appropriately for my jewellery piece 30 mm x 30 mm. 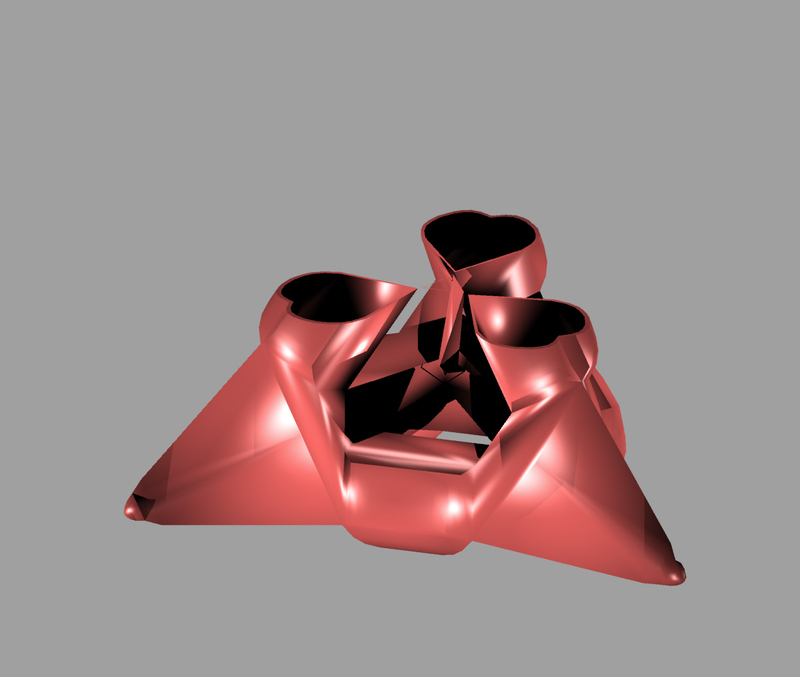 Then I exported the shape again and put it into Magics. 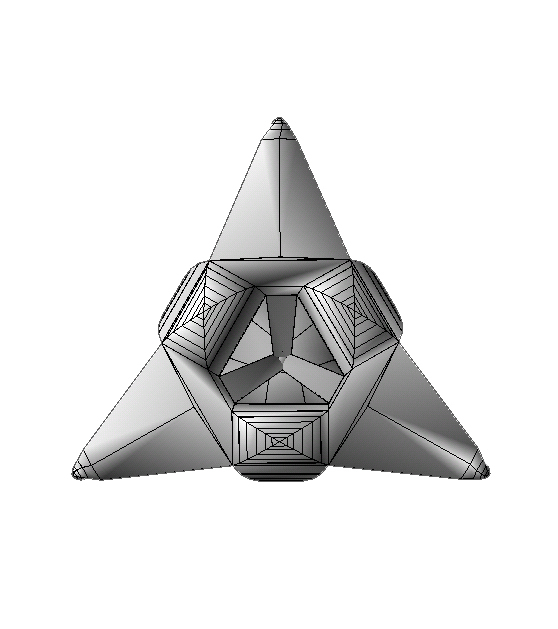 This program fixed the meshes so the shape was appropriate to send off to shapeways. 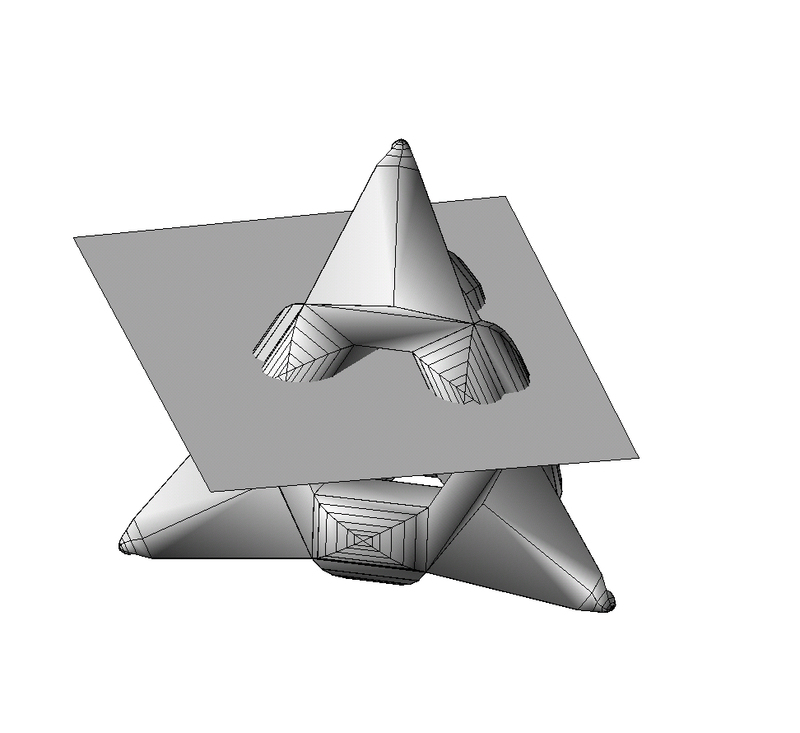 I then signed up an account with shapeways, chose a material and sent my .stl file away. Two weeks later I received my package from shapeways. I was happy with the outcome. For the folly I simply scaled the shape up to 100 mm x 100 mm. I chose the area I wanted to expose an interior space. I created a surface to use as a trimming device. I used the command ‘meshtrim’. I then went through the same process as my jewellery; imported the file into Magics and fixed the meshes. I emailed Andrew the file for a quote. After I was happy with the price I asked Andrew to proceed with the printing. The final piece showed some interesting interior spaces.